Power over Ethernet (PoE) technology provides power supply via a standard network cable to all PoE-able devices such as telephones, routers or cameras. In this scenario the network cable transports both, data and power. This helps to reduce the power consumption and allows installation in remote areas with no direct power outlets. The use of PoE devices can help to reduce the installation and operating costs of network infrastructures. 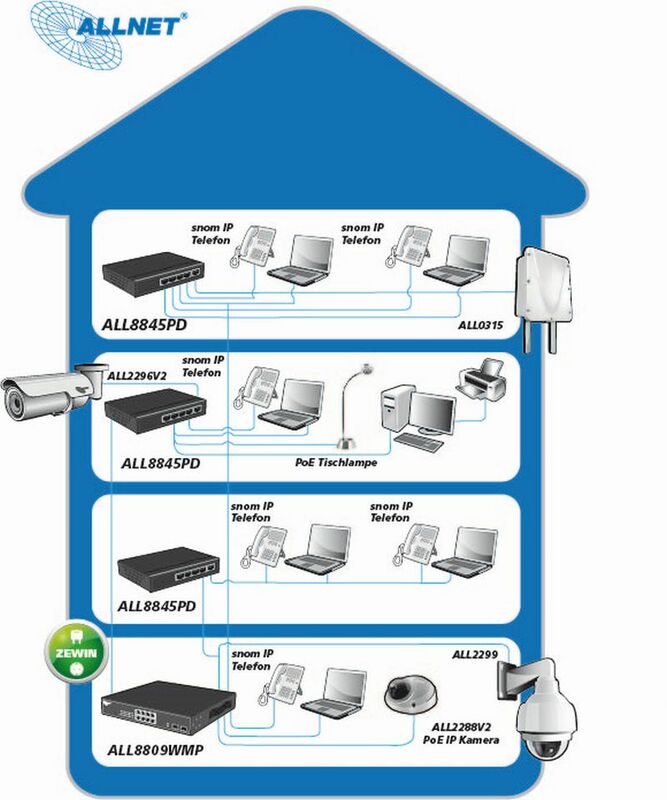 ALL ALLNET PoE products comply to IEEE802.3af Standard. For more Information select one of the following categories.